(1) Search your own name in the PUBMED site below this list. (2) Tick the boxes near the papers that you wrote. (3) Open the 'Display Settings' menu, choose 'PMID List' as the format, change 'Items per page' to show all your papers, hit 'Apply'. 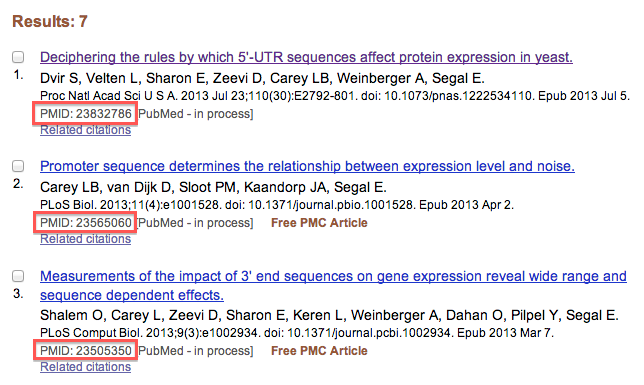 (4) Copy the PubMed IDs to the form above.